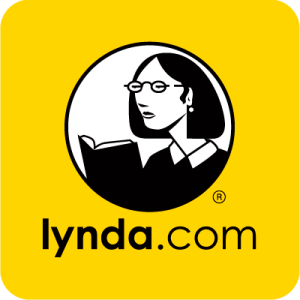 Adopted by ACU in 2014, Lynda.com is a web-based training library ranging from photography, video production, 3D animation, educational programs, and lots more. Lynda.com isn’t just for the techie type; many tutorials are designs for beginners to learn, innovate, and design new programs on their very own without the need of massive training or experience. Anyone can use Lynda.com with their myACU login information from anywhere with an internet connection. With its unlimited access, on-the-go learning, and custom playlist options, ANY student, instructor, or staff member can learn an extensive variety of programs from the most basic to the latest technology applications. Used by more than 4 million people and in more than 935 campuses, Lynda.com is a great resource for learning new things. Word: Creating, editing, and formatting documents. Create stylish documents, collaborate with other writers and create numbered and bulleted lists. Excel: Covers the basics needed for entering data and organizing workbooks. You can also perform calculations with simple functions, build charts, format workbooks etc. Access: The basic foundation of any database, and understanding table structures and relationships. Photoshop: Perform editing tasks, cropping and tonal adjustments, noise reductions, sharpening and retouching. Illustrator: Explores the benefits of using layers and symbols and shows how to edit text, draw in perspective, and much more. InDesign: Teaches you how to become familiar with the user interface, format objects, organize projects with layers, and build a multi-document book. It will also teach you how to print and export a document. Google Drive: Teaches the essentials of creating, formatting, and sharing documents, spreadsheets, presentations, and forms with Google Drive. You will also learn how to work with your files and have tips on how to organize them and search them in your drive. Sheets Essential Training: You will discover how to get around the interface, enter and work with data, and use formatting and function features.